Ahh, molt. The time of year where the fur balls are flying, the seals just want to sleep, and that glorious new coat is slowly, but surely, coming in. Molt season is different for each species and happens once a year. At the New England Aquarium, Atlantic harbor seals molt July/August, California sea lions molt Sept/Oct, and the Northern fur seals molt Oct/Nov. It is most obvious on the harbor seals, as you can see patches of old and new hair. The sea lions and fur seals mainly drop hairballs everywhere, and your hand is basically a mitten after touching their bodies. During molt, the seals are very tired and sleep quite a bit—it's hard work growing in your new coat! 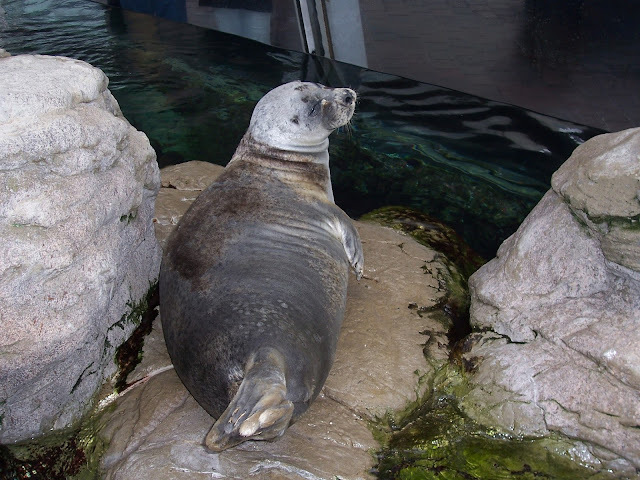 Once done, the harbor seals have a shiny, silver coat. The fur seals are more golden and the sea lions blonde. 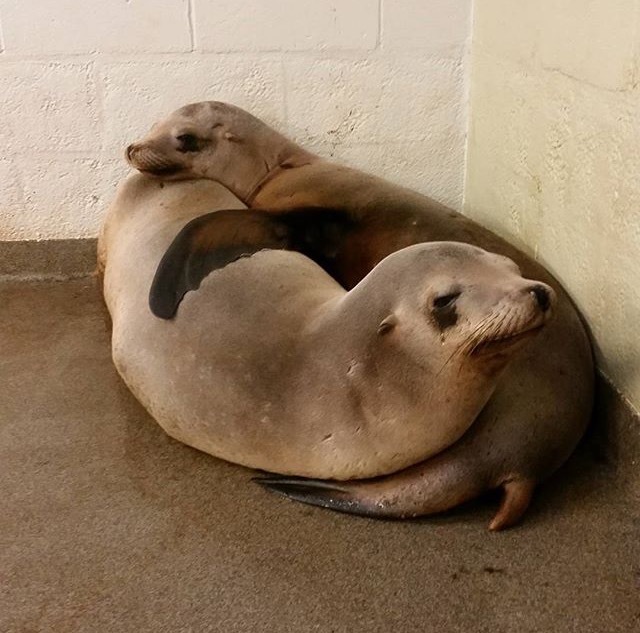 During the year, their fur protects the seals and sea lions' skin and keeps the fur seals warm. Over time, the older fur needs to be replaced so it can do its job well. Come by the Aquarium to see all the molty (in)action!